The PENTEK-CBR2-10 premium quality filter is designed with an advanced multimedia cartridge for excellent contaminant reduction. 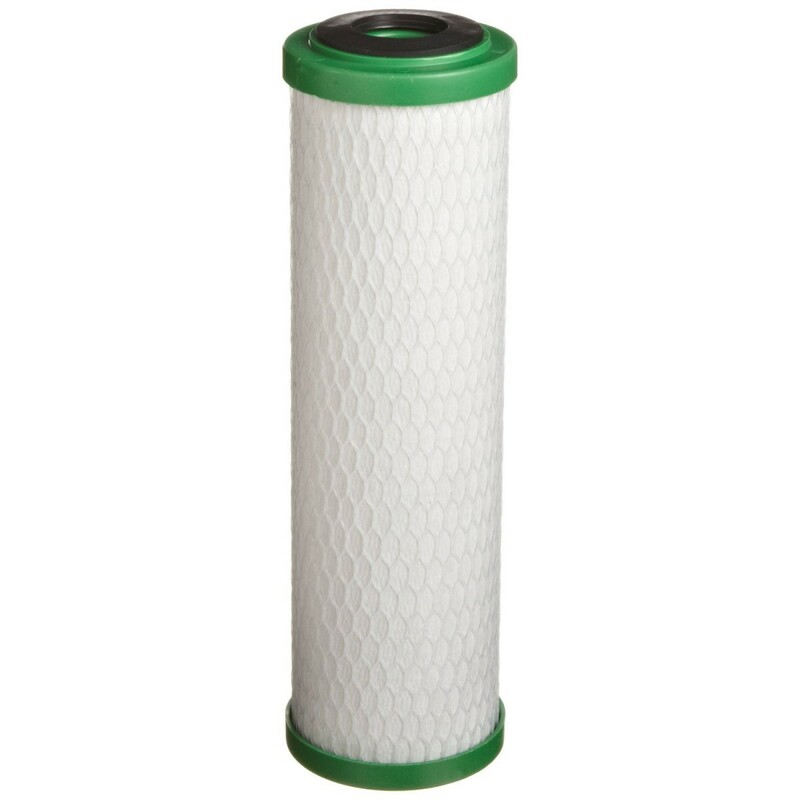 The CBR2-10 filter cartridge is ideal as a polishing filter for lower flow rate applications, including reverse osmosis systems, to effectively reduce harmful contaminants and produce safer, better tasting drinking water. The Pentek CBR2-10 water filter is a premium high capacity chlorine taste & odor reduction filter through more than 20,000 gallons. Enhanced dirt-holding capacity. Both the Pentek CBR2-10 filter and the Pentek CBR2-10R filter are effective at reducing levels of chlorine taste & odor, MTBE, and VOCs. NOTE: Certain states require system registration or certification for health-related contaminant reduction claims. NOTE: Meets NSF Standard 42 for chlorine taste & odor reduction (Based on manufacturers internal testing). Nominal 0.5 micron Pentek CBR2-10 Carbon Briquette Multimedia Water Filter Cartridge. 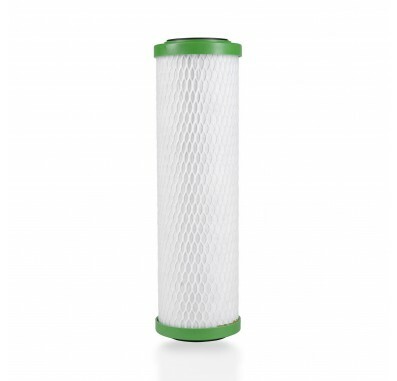 What is the difference between the Pentek CBR2-10 and Pentek CBR2-10R Water Filter Cartridge? The Pentek CBR2-10R has a built-in flow restrictor (0.6 gpm) to allow for maximum contact time. The Pentek CBR2-10 does NOT have this flow restrictor. The Pentek CBR2-10 water filter has a higher flow rate than the Pentek CBR2-10R water filter. Since the flow rate is restricted, the Pentek CBR2-10R filter is better for undersink drinking water systems and not whole house systems. Why are the Pentek CBR2-10 and Pentek CBR2-10R Water Filter Cartridges marked 'Not for residential sale in the state of California'? CBR2 Series cartridges have not been submitted to California for testing. This is an expensive testing process that Pentair has chosen not to undergo at this time in order to keep the cost of the filters down. This item cannot be shipped to California. 155268 Pentek CBR2-10 filter fits in housings for 10 inch water filters.